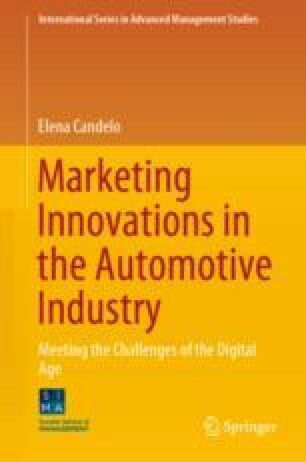 In the 1970s and 1980s, European, American, and Japanese carmakers shared two trends that signalled the first steps towards globalisation in the car industry: (1) product proliferation; and (2) convergence in marketing management methods. Consequently, a set of “universal” industry factors drove carmakers towards strategies of the same nature, wherein execution was often the ultimate success factor. The first step was to extend the product line (i.e. product proliferation) by introducing products that were not completely new but which marked an improvement on previous versions (i.e. annual model) into the market. By studying customers’ new demands and expectations or based on technological improvements, companies were able to take the second step by introducing new products that completed their existing range, to increase their market share. Gradually, some factors started to generate convergence in marketing strategies: (1) strong capital intensity; (2) long product life cycle; (3) competition based on the proliferation of models; (4) every country having its “national champions” and the political sensitivity of the car industry; (5) the relative stability of base technology; and (6) the fact that the major carmakers assembled around 25–40% of the final product. The outer percentage was supplied by firms that sold to everybody. Differentiating strategies therefore became more and more difficult.